Sternwheelers on the Columbia River are back. 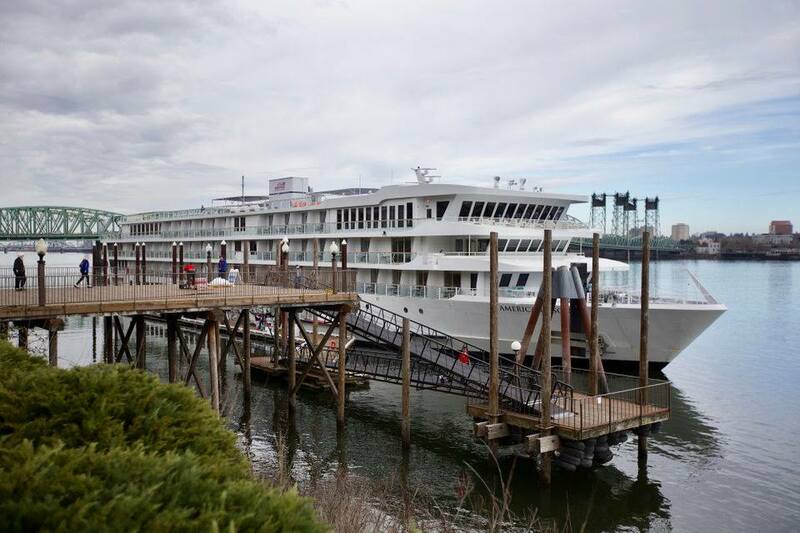 Columbia River cruises now total seven as of 2019, according to Vancouver-based USA River Cruises which has campaigned for years to promote the Columbia River as a cruise line venue. The two competing cruise companies (American Queen Steamboat Co. and American Cruise Lines), offer similar week-long cruises. They go from Astoria to Richland and the Snake River for prices beginning around $4000 per person. Un-Cruise Adventures and National Geographic Expeditions offer more exploratory adventures while the the 145-foot M.V. Columbia Gorge runs day cruises out of the Port of Cascade Locks. 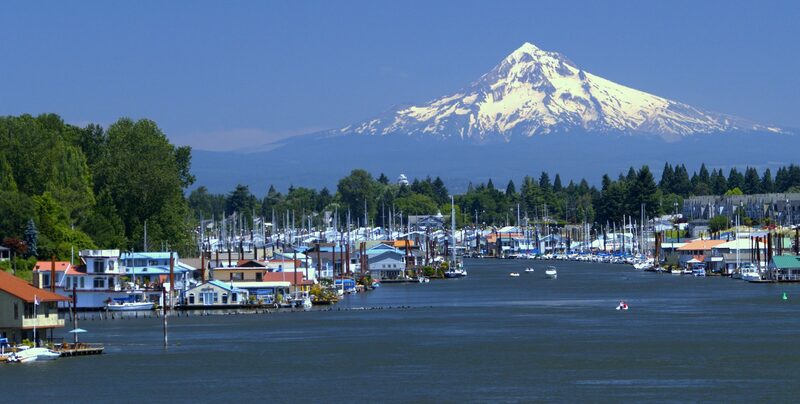 American Cruise Lines of Guilford, Conn., operates the 120-passenger Queen of the West, which docks in Oregon, next to the Red Lion Hotel. It was the first to bring luxury cruising up and down the Columbia River. The 230-foot Queen of the West which was built in 1995, can be identified by yellow “flames” at the top of her stack. 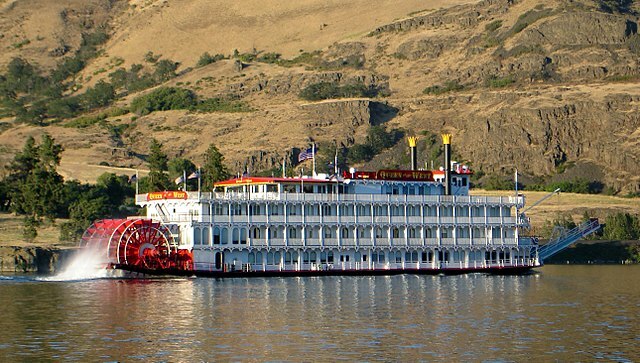 American Cruise Lines essentially doubled its capacity on the Columbia River in 2016 when their second paddle wheeler, American Pride, joined the Queen of the West on the Columbia. In 2019 they added a third, modern cruise ship. The American Song is the third American Cruise Lines ship to operate on the Columbia River, joining the Queen of the West and the American Pride, which dock by the Oregon Red Lion. Cabins on the modern American Song range from 304 to 900 square feet and start at $4,925. 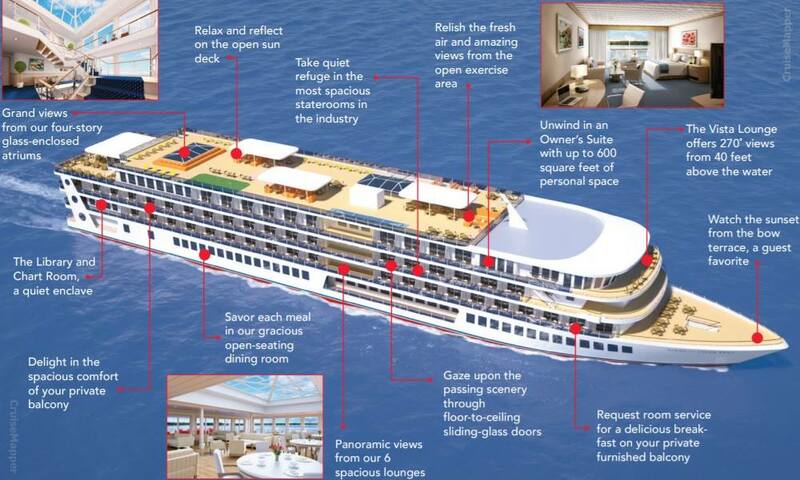 The ship has five decks, an 8-foot draft and can carry 186 passengers. The ship has a modern propulsion system consisting of 2x azimuth thrusters (“Z-drives“) manufactured by Veth (Holland) with 360-degree azimuthing forward and aft propellers which give American Song total flexibility for docking and maneuvering. The Queen of the West was renovated in 2011 and runs April to November with eight-day trips on the Columbia/Snake starting at $3,750. The 223-passenger American Empress is run by a competing company, American Queen Steamboat Company. The American Empress docks in Vancouver, near the I-5 bridge, on Vancouver’s Terminal 1, just across the river from the Queen of the West. The two competing stern-wheelers companies offer similar week-long cruises and a variety of packages. They go from Astoria to Richland and the Snake River for prices beginning around $3,700 per person. The American Empress riverboat, which docks in Vancouver, runs April through October, between Astoria and Clarkston, on the Idaho-Washington border. The American Empress was formerly known as Empress of the North. operates out of Cascade Locks in the summer, and winters in Portland. She was built for the Port of Cascade Locks, in Hood River by Nichols Boat Works and launched on August 30, 1983. She was built at a cost of around $2.5 million, of which $1.1 million was funded by federal grants secured by U.S. Senators Mark Hatfield and Bob Packwood. The 70-year-old Portland sternwheeler tug is a floating museum on the Willamette River in downtown Portland. is an sternwheeler built in 1990 in Newport, Oregon, which operates on the Willamette River, year-round from Salem’s Riverfront Park. was built over a nearly four-year period from 1979 to 1983 in Astoria, Oregon, by John Hendrickson, and launched on April 24, 1983. Rose was sold to Willamette Sternwheel Navigation in early 2004 and continued to be based in Portland and operated on the Willamette. Her mooring location was moved from Portland to Oregon City in 2010.